Oh, what a life if colours aren’t in it? We are surrounded by a kaleidoscope of colours that just makes this life of ours more bright and cheery. But have you decided what colours will you be dazzling in this winter? Because it might not be spring, but hello, it’s the winter closet we are talking about. Did you forget that this is a festive season and you need to stock up on some amazing ensembles? Or maybe you forgot the cool winter outfits with a plethora of layering options that you get to play with. Be ready for the snow with these Colour Trends for Winter This Year. And make sure you are ready for the season with these amazing makeup ideas. When wine colours start knocking on your door, it’s time to hang a wreath made from fall leaves. Because, you guessed it right, winter is coming! The rich hue certainly spreads the winter vibe with its warm shade. So you see, shades of red are going to rock this year in this cool icy weather. Can’t blame it though. We all need something scorching to beat the chill, after all. Start with the whiskey brown and cherry red and then see where it leads. It will definitely come across the Christmas red for sure. Here are some amazing ways to prep your nails for the Christmas this year. For winter this year, you will be seeing some amazing options in the shades of blue. The nebulas blue and the Sargasso Sea are gonna rock more than any blue shade. Where nebulas blue is bright and lovely, the Sargasso Sea is one subtle and enticing dark blue shade. From a Sargasso Sea evening gown to the nebulas blue layer, things are gonna be pretty blue this winter. 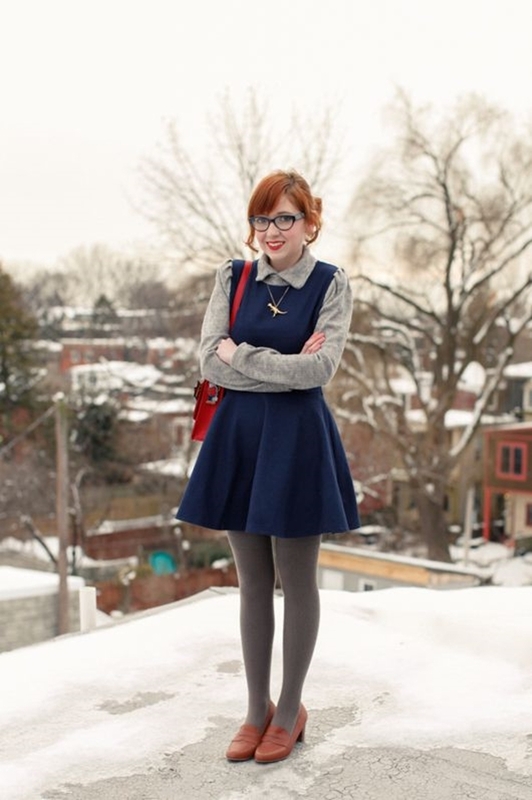 Organize your closet with these lovely winter work outfits. Who we are to turn our eye on one of the loveliest colours which is nothing but the pink. The hue is still designers’ favourite and from what I have heard I can assure you that this lovely shade is going to stay favourite of the designers for the upcoming winter as well. Fuchsia with its bright hue is gonna add some much-needed colour to your wardrobe this season. To balance this brightness you can pick something in mellow rose, a soft pink shade that will add the perfect touch of romance in the air. The Pantone has declared the UltraViolet as the colour of the year 2018 so it was inevitable to include this colour in the fashion colour trends for the winter. The name might be extreme but the colour falls a little on the softer shade of the violet. 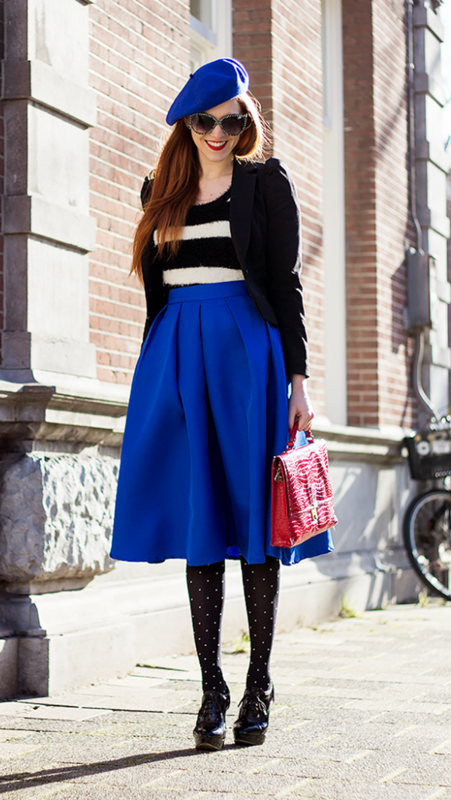 It is a pop of colour that you will be in need of in this winter. A soft pastel shade, the crocus petal will undoubtedly bring that light and airy vibe in this snowy season. The lilac shade is surely here to win our hearts this season with it subtle and refined hue. It will add a perfect texture to the ensemble and will surely grace an outfit with a classy character. Stay classy and fun with these knee-high boots and rock this season with style. Talking about fall or winter and not mention the orange colour? That’s just impossible. I mean russet orange leaves scattered on the ground is the first thing we see when the fall is read to knock on our door. The designers have picked different shades of orange in a lot of ways to add this hue to your wardrobe when the things are going to be chilly. As the festive season is coming closer, you might be looking something enticing that will just make him go crazy? Well, these hairstyles will get him all tangled. For winter this year, there are two shades of yellow that have popped out. First is the Ceylon Yellow with its spicy shade to add an exotic touch to your wardrobe. Speaking of spicy, you better stock up on some of these ingredients to enhance your winter glow. And the second is the limelight which is way softer and lighter than a typical yellow hue, but nowhere near less impressive. One hue is there to lit up your day while the other shade will soothe your evening. There is olive green and then there is quetzal green. The olive green hue is almost similar to the military green but has a touch of a golden undertone. Fuse it up with any of the winter shades and you will surely get a sophisticated ensemble. The quetzal green is more of a darker cousin of sea blues and green. It creates an elegant and rich hue to wear this winter and look captivating. Whether we are talking about layers or smart outfits or chic gowns, neutrals will serve you in everything. There is tofu, a creamy white hue to create a subtle look and then there is the quiet gray or one might even call it a marble gray with its soft and soothing shade. You want to spruce up the things then go with the almond buff, a baby camel hue for understated elegance. And you can never beat a black ensemble; no matter the season, it’s always gonna come out and dazzle. Stay neutral and natural with these makeup ideas to get that absolute natural look. Talking about dazzling, the shimmering silver is right there on the top when it comes to a glittery ensemble. Whether it’s a reflective or a muted one, silver is going to gleam this winter with its shimmery hue. For a night of party or an evening affair, this is the perfect hue to choose this year to keep things burning. Let things burn brighter with these Christmas party outfit ideas. What colors to avoid in a winter? Now, that we know what colours to wear this winter, let’s have a look at the hues that you must stay away from in this chilly season. 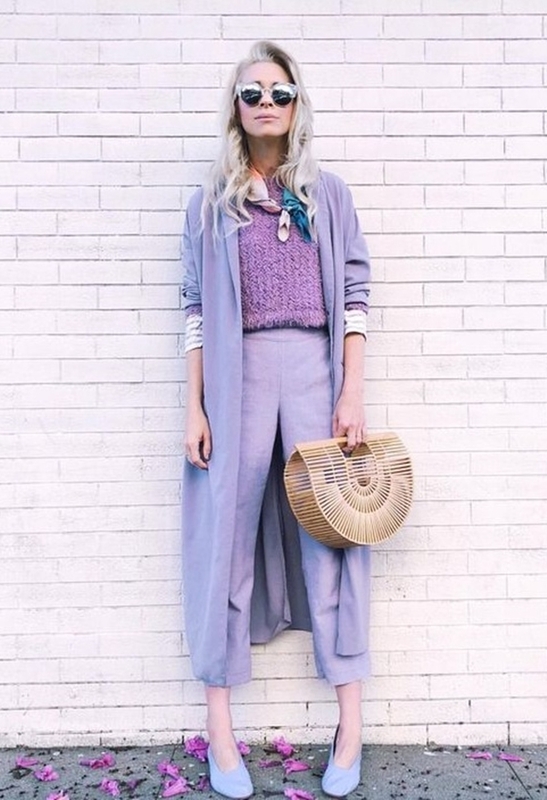 First, bury those pastels deeper in your closet. Because it’s not spring and they won’t do much good for you in this season. If you are so much in love with them then find icy tones rather than pastels and you will be alright. Also, shine with silver, not gold. And beige isn’t the option. But you don’t need it anyway. You have tofu for that. When I said wear orange, I meant the russet orange. So give your regular orange shade a little rest for a few months. What colors look good on a winter? Besides the colours above, I would say definitely, brown! There is no doubt that shades of brown are rich in hue. I would suggest going for rust this winter. The rust is one of the designers’ favourite colours of winter and you will be seeing a lot of this shade in the upcoming fashion trends. Another shade of brown that the designers have loved for this winter is the Meerkat. It bestows the perfect amount of warmth one would need this season with its toasty hue of burnt brown. Thinking about colouring your hair this winter? Then be ready with this list of gorgeous hair colours. Follow the above colour palette and you will do just fine in winter colours. With all these colours, you will be definitely ready for this winter. And while you are shopping for these, make sure to pick some jeweled tones as well. Just for that classy and dazzling effect, you know! Add these winter outfits and you are all set.